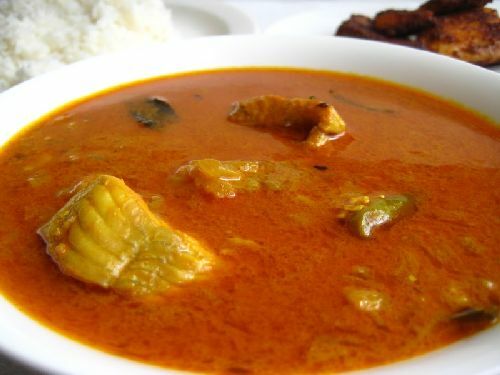 Many of us like fish gravy, I love fish cooked in the tamarind juice. I have been trying out many recipes and this one turned to be one among those i liked. 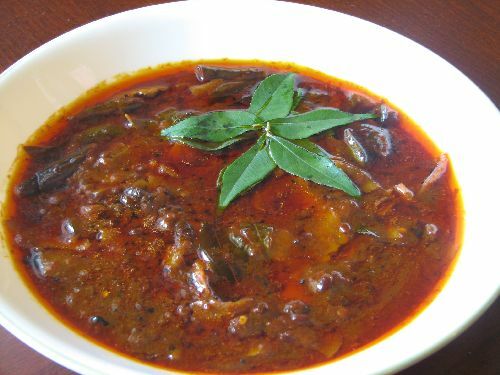 I normally add the fish in Kuzhambu before adding tamarind juice coz i like the fish to be cooked well in tamarind. But the fish will break into small pieces, so if you are so concerned add the fish at the end as suggested in the recipes. 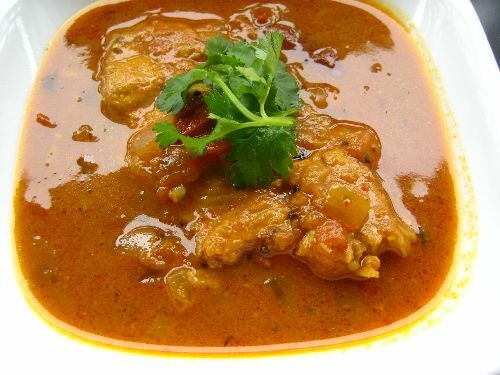 Fish curry tastes better the next day, try it out. Have Fun !! Wash the fish in water with 1tsp of vinegar. Mix turmeric, salt and marinate it for 30 min. Soak tamarind in water for 30 min and extract them to a thick juice to 1 cup. In a pan heat oil and mustard,cumin. when mustard crackles add fenugreek, red chili, green chili, curry leaves. Fry for 1 min. Add the chopped onion and fry till translucent. Add ginger garlic paste and fry till the raw smell leaves. Add the tomato and cook till mushy. Add red chili powder, coriander powder, turmeric, salt. Fry for a min. Add tamarind juice and allow it to boil for 3 min. Add fish at the end and leave for 3 min. Add coriander leaves and switch off. Add raw mango to get added taste. Instead of fenugreek seed add fenugreek powder at the end. 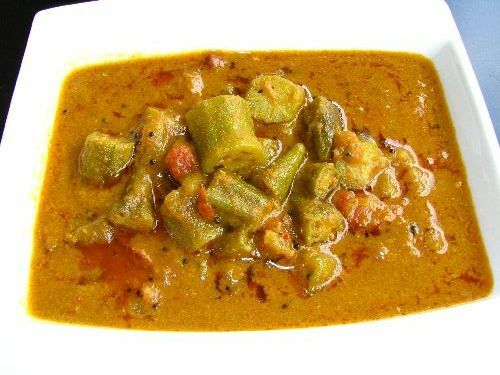 Serve with white rice, plain dosa, chapathi. I tried your recipe today.it came out very well.thank you. I tried out the fish curry and it came out yummy.. I added little jaggery at the end to reduce the sour taste of tamarind..
1st time im visiting this site and all the dish are so colorful and look so tasty. Normally I only cook chicken. Going to try this today or tmrw. Thanks Shashi. Super meen kulambu. Waw.. It made our lunch happy. Awesome recipe. Have layed out the fish in the pan before putting water.Fish curry came fine.Thank you so much. 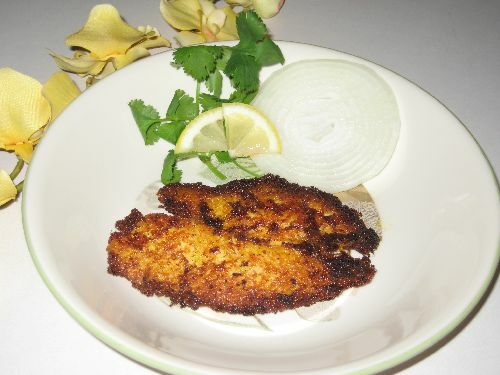 But do the fish get boiled properly if we add it in the end……..
Mohan, fish cooks in 10 min in a boiling liquid. If I am eating as soon it’s cooked, I add at the first so that it absorb nice flavor. I tried this for lunch, it came out very well. I will be trying lot of your recipies, at lease i found 20 more interesting postings on this site. Thanks so much for sharing and i will share with my friends as well. Sashi I tried this fish curry today.it came really good..we enjoyed our lunch.Thanks. meen kozhambu looks mouth watering and delicious colour!!!! 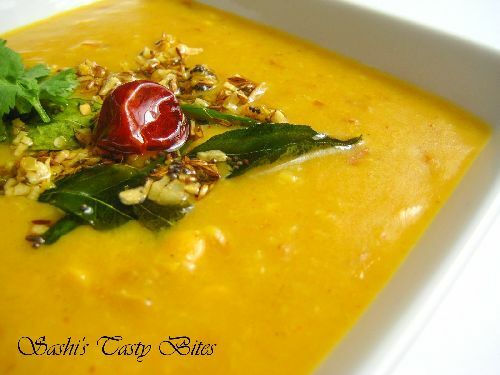 I love raw mangoes in this curry too, nice recipe!!! Hi your meen kulambhu looks perfect.If u have time visit my blog.